Here is a guide on how to map your new MPC Fly pads to the pads in BeatMaker 2. 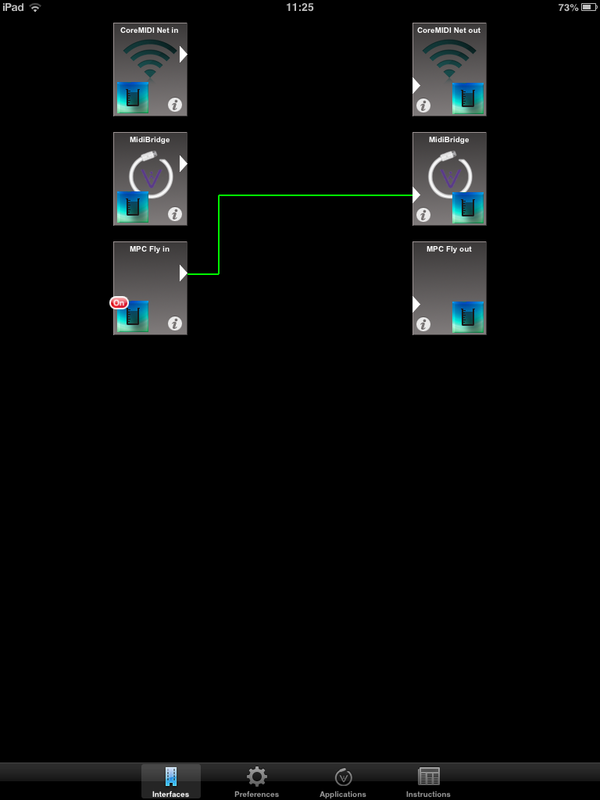 Note, that I prefer to use the MidiBridge output to feed into BeatMaker, but you can of course activate the BM2 virtual ports and feed the Fly into that too if you prefer. First, touch the beaker icon on the MPC Fly in port (on the left) as we are going to apply a NoteMapper module to this port to achieve the mapping. 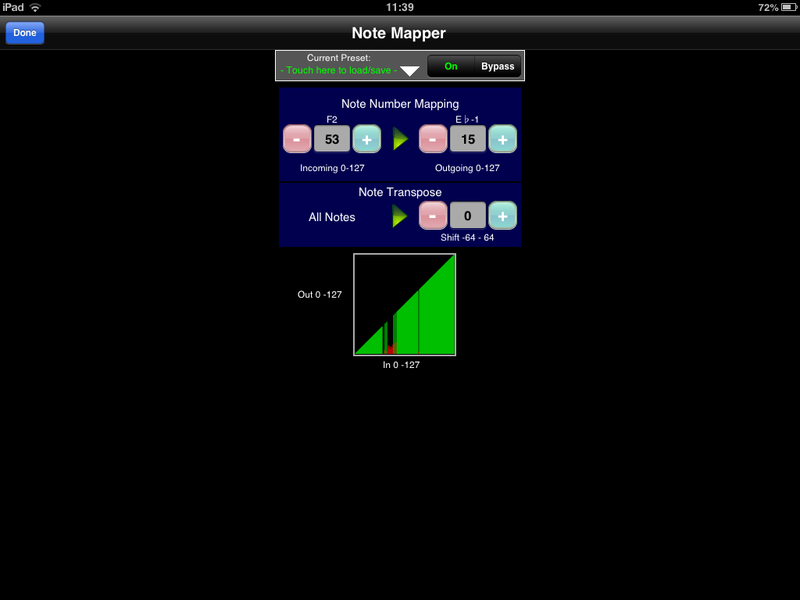 Second, press the disclosure arrow on the 'Note Mapper' module and press the 'On' button to activate the module so you can create your mappings. Use the Incoming selector widget (either the +/- keys or tap on the number and key in manually) and change the number to the number listed in the second column of the table below. Use the Outgoing selector widget and change the number to the number listed in the third column of the table below. Repeat the above 15 more times for the remaining 15 mappings in the table. Note, do not touch the 'Note Transpose' selector widget! The fourth and final step is to touch the little white downward triangle on the NoteMapper screen and save your mapping as a preset ('MPC Fly to BM2' is probably not a bad name!) so you never have to do this again. 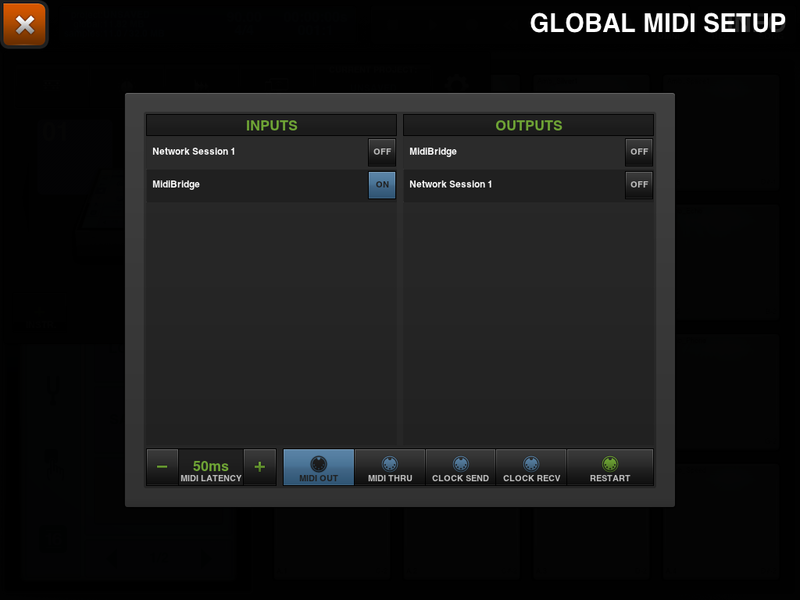 I will include this preset into the next version of MidiBridge as a factory preset. Press 'Done' and 'Done' again to return to the main MidiBridge interface. If you have BM2 backgrounded then hitting a pad on the Fly should trigger the correct pad in BM2 and you'll see the ports flash in MidiBridge. I hope this helps get your Fly and BeatMaker 2 talking together. Please do get in touch if you are still having problems.